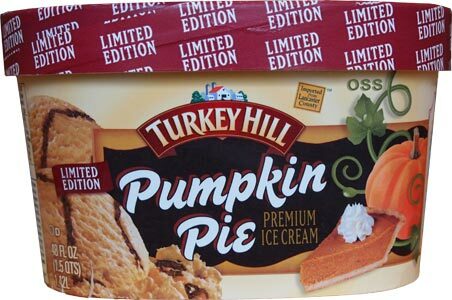 The other day I got an email from Turkey Hill's new PR company and I realized something... we've never actually reviewed this flavor for the blog. Sure I've read Junk Food Guy's glowing review, but... but... Iunno, I want to say I've never been very good at finding it. Well, problem solved, because Turkey Hill just sent over two fresh containers of the stuff. The base? yeah, it's pretty spot on the flavor of pumpkin pie filling. It's probably a little spicier then my mom's excellent version, and that might scare off some of you from a repeat purchase... IF this was a base only flavor. But it's not. No no no my friends. You know I love me a graham cracker swirl and this plentiful one does not disappoint. Hehehehehe, I'm being a bit silly, but I've now had this ice cream three times today and well, it's been a fun day. My only regret is not having enough milk to make a pumpkin milk shake right now... ok, I'm going to eat these melting edges instead. Mmmm, definitely a nice pumpkin flavor popping through. Ok, that's enough for one day! This is just one of those powerful flavors that really gets your attention... so I kept finding excuses to snack on it here and then. The swirl is addictive, the base is flavorful and they come together for a kicker of a flavor. If you are bored of milk pumpkin flavors, or ones that don't have swirls, give this one a shot. Be prepared for the spices, cause if you enjoy them, you're going to have fun with this one. Verdict? A mighty pumpkin ice cream! I excitedly pine every year for Turkey Hill's Pumpkin, which is my favorite pumpkin flavor. Between this and the PB&Co collaboration, they are riding high in my ice cream book. I brought back six containers of this stuff from a Kroger in the middle of nowhere (central IL) because Chicago's Kroger affiliate doesn't carry Turkey Hill anymore. The swirl alone makes it worth the purchase! This is the Best Turkey Hill flavor! I love their Pumpkin Pie Ice Cream! Are you all out of your minds? I bet this post doesn't even show up, because I bet that Turkey Hill is paying you to put good comments about their products. I am an experienced career chef and trust me, I KNOW what I'm talking about. 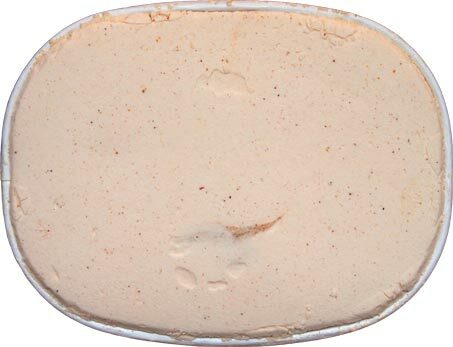 This excuse for "Pumpkin Pie" ice cream is an insult to my intelligence. When is the last time you had pumpkin pie that was so overpowering with cinnamon that you couldn't even taste the pie? That's right, NEVER! 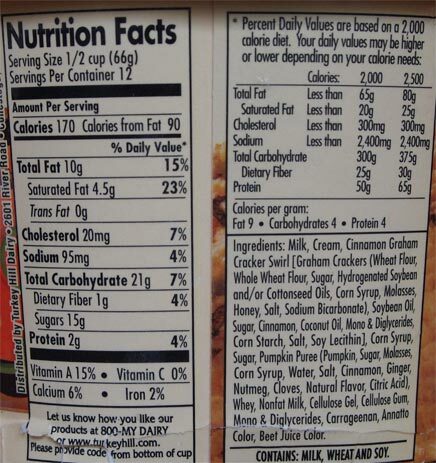 Pumpkin pie is NOT supposed to have excruciatingly overpowering cinnamon flavors. Not only is the taste of the swirl terrible, but they texture is just as bad. It is FAR from graham cracker texture or taste. It was more of a cheap syrup that someone overheated and turned crunchy with raw sugar crystals that feel like you are grinding your teeth down on beach sand. The pumpkin ice cream is pretty good in flavor and texture, but the swirl.. yeaaaaa... the swirl.. what were they smoking when they decided to mass produce this garbage???????? Dear Anon, working at applebee's doesn't make you an "experienced career chef". Two, I've loved turkey hill since I was about 7, so keep your insults to yourself. Three, open your mind to a bold swirl that dares to be different. I am not in the mood for this today. Anon, no. That's the only response your comment deserves right about now. Hey Chef Anon, I don't know if you know this but.. not everyone likes the same things! It's fine if you don't like this ice cream, but it's so obnoxious of you to insinute we're all being paid for these comments. Although, if anyone from Turkey Hill is reading this, I wouldn't turn it down. I happen to be a huge cinnamon lover (seriously, hardly anything is ever cinnamony enough for me) and I find the swirl to be delectable, and I make sure I have a nice bit of it in every bite of ice cream I eat. My local Food Lion still has this amazing ice cream and it's on sale right now for 2 for 5.00. As soon as this snow storm is done with, I'm going back and stocking up. I can't wait to make milkshakes with this stuff! 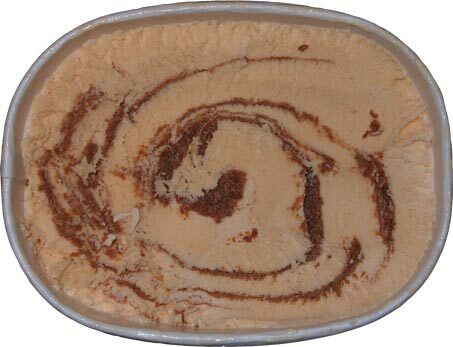 Please make Turkey Hill Pumpkin Ice Cream available in stores throughout the year. It is absolutely delicious. When we serve it to family and friends, they always comment on how good it tastes. People would by it year round if you made it available in your stores. It easily could be much more than a seasonal product. Meeee too!!!! I'm so glad it's back!!! No other brand compares!!! The swirls are amazing and I seriously wish that you could buy this year round!!! !